Russian billionaire Alisher Usmanov has invested $100 million in Appe Inc.
“I believe in the future of this company even after Steve Jobs,” asserted Usmanov. Apple shares peaked last September and have lost 40 per cent since then. Apple’s stock has descended from a $700 high in September 2012 to $400 in April 2013. However, Usmanov believes Apple capitalisation will rebound. “When the company lost $100 billion of its market value, it was a good time to buy its shares, as the capitalisation should rebound,” he said in the interview with Bloomberg. Usmanov has recently made profits through investments in Facebook, making a ten-fold return. He first bought Facebook shares in 2009 when the network was worth $6.5 billion and sold part of his stake in Facebook at the time of the company’s IPO, pocketing $1.3 billion. 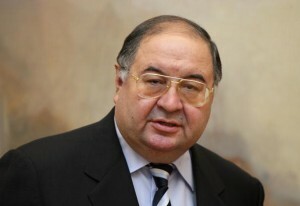 Alisher Usmanov is Russia’s richest man and 34th wealthiest man in the world. His fortune is estimated at $17.6 billion, and he has stakes in in various sectors – from metals to media and telecom.